I'm having so much fun taste testing new warm drinks for you, especially when it is hot chocolate! This is such a rich and creamy one that it should be considered a once-in-awhile treat. I have an ongoing love affair with malted milk powder. It is a key ingredient in my all time favorite dessert, the Dusty Miller. I also prefer a malt over a shake. I like to add it to cookie dough, cake batter, puddings, and ice creams. My favorite is the grocery store brand Nestle Carnation because that is what I grew up with. There are other brands, some even gourmet brands but when it comes to malted powder, give me the old favorite! It's easy to make. You can change up your combination of milk and cream. If I only have a cup of cream, I will add the rest in whole milk, totaling three cups. Use good chocolate and at least some cream for the best overall experience! Creamy hot chocolate with the added flavor of malted milk powder! 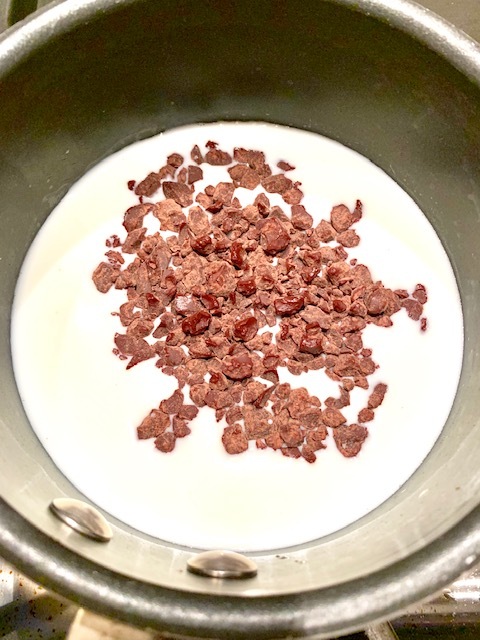 Combine cream and milk in a saucepan. Here are some more delightful warm drinks to make your winter extra special. Comment on which you will be making this week! I like to use malted milk powder in our drinks. 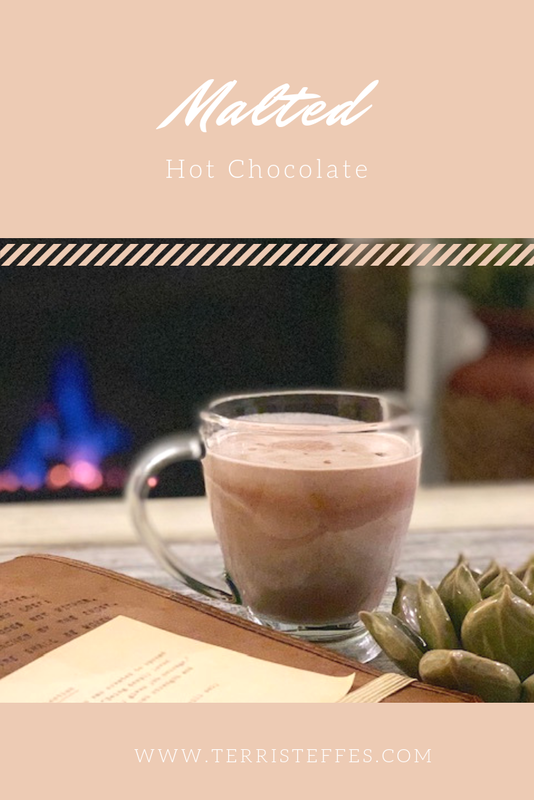 This is a rich and warm drink perfect for these cold winter days and nights. This looks so amazing. I always love sipping on hot chocolate when it's cold out. I'll have to make this over the weekend. I need to grab some malted milk powder and make some of your hot chocolate. It looks so yummy and would be the perfect afternoon treat today. That drink looks like a real treat any time of day. My son loves hot chocolate so i know he would love this. I agree with you, I love the taste of a malted drink. Something about it is so uniquely delicious. This is a fantastic take on a hot chocolate! I definitely need to try this. It sounds like it's really delicious. This sounds like something that would be perfect to have before bed, set you up for a good nights rest. There is definitely something about malted drinks. Malted Hot Chocolate is such a warming and delicious treat! I could go for a cup right now. Sitting down and sipping on something warm like this would really hit the spot. This looks so warming and delicious. I want to try this Malted Hot Chocolate, this is my all time favorite! 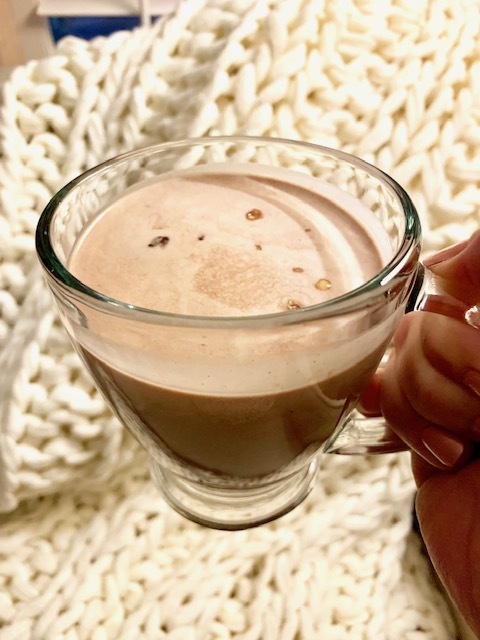 Oh my goodness, this recipe for Malted Hot Chocolate sounds amazing! I may need to try this for myself! I don't think I've ever had malted milk or used malted milk powder. That sounds really good, and it's nice to change up hot cocoa a little bit. This looks delicious! Does it taste like malted milk balls? Those are a favorite of mine. I have never tried using malted milk before. But that looks delicious. I will give that a try ASAP. I love the cold season for the hot chocolate we have every weekend! I will try your recipe tomorrow! I am sure my family will love it! I would exchange my cup of coffee with your malted hot coco if I could right now. It looks delicious. Sounds like a drink I would love. I need to make this soon! I'll go for malted hot choco than shakes. I have to admit I have never had malted anything. that said this looks delicious. Mmm, cannot go wrong with malted anything. Especially hot chocolate. Going to make this, the girls will flip!